I recently started using a new Nomad 883 Pro. 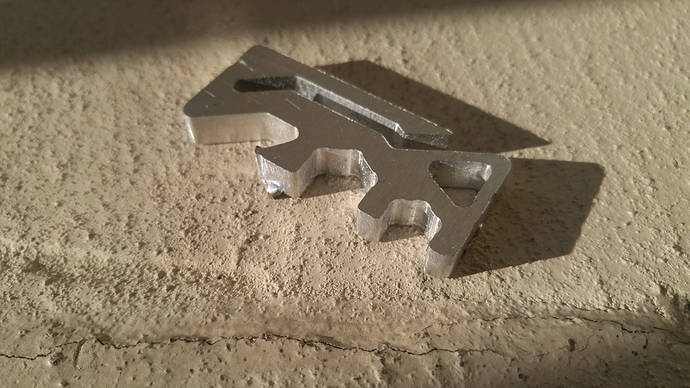 I got a 1/4" thick piece of aluminum and I’m trying to make a bottle opener. 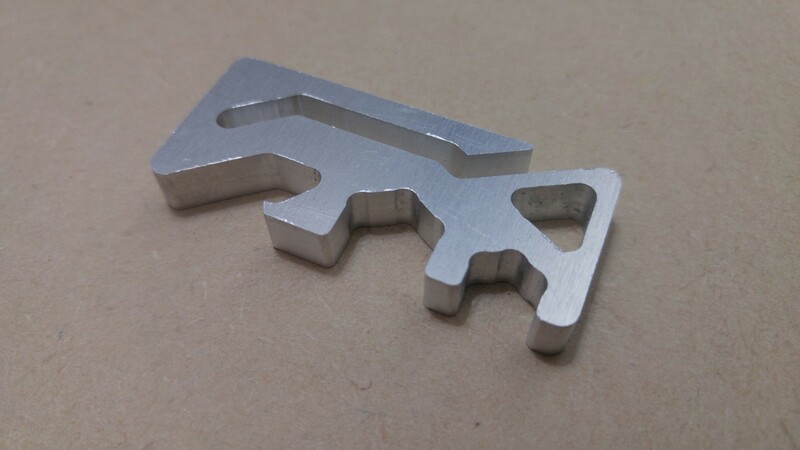 I kind of winged the toolpath parameters using some settings I saw on Shapeoko’s wiki. 12 inch/min feed, 6 inch/min plunge, 0.012 inch stepdown, 2 flute 1/8" square end mill 30deg helix AlTiN coating. 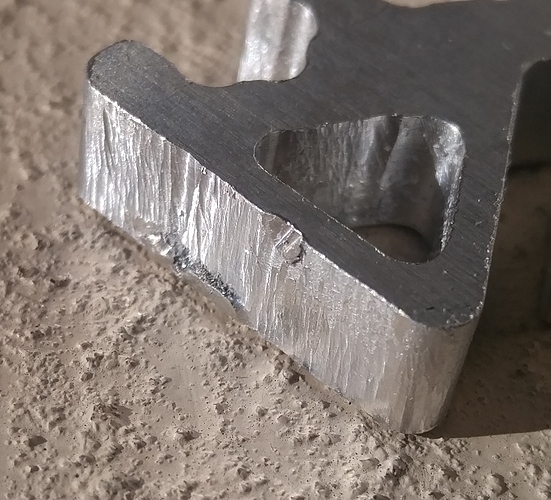 Excuse my lack of experience, this is literally the first time I tried to cut aluminum on this machine. The plunge seems to make a louder sound, the machine seems to jerk slightly, the regions where the plunge happens seems to have a rougher cut, it looks bad, like a nick. In the picture below, where A and B are. C happened after the perimeter was done, the cutter tried to plunge all the way to the bottom, the spindle completely jammed and stopped. I halted the machine by turning off the power completely, as it was trying to do a profile trip with the spindle not moving at all. What did I do wrong? What should I change? Is my end mill toast? Did I fry my spindle motor? It seems like the feed rate is fine and not noisy at all but the plunge is terrible. Also, how can I prevent that super-plunge that jammed up the spindle? 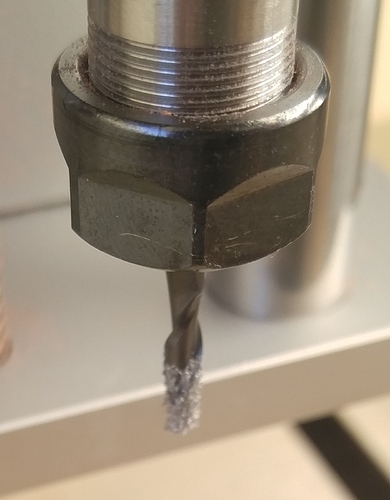 No, you haven’t damaged your spindle; the stock is shot and you should check the end mill for damage (it’s probably OK). This is what learning is all about! We’ve all been there! The super plunge will take some research. There could be an issue with your CAD or how you set up MeshCAM for the part. Thankfully, this isn’t hard to figure out… it will just take some time. No need to apologize! We’re here to help! Winging feeds and speeds leads to (potential) disasters! Take your time, think, be careful and things will be fine. The feeds and speeds from one type of machine are not transferable to another! Spindle characteristics, fixturing, and many different factors affect feeds and speeds. Also, you stated important facts about your machining but left out the RPM of the spindle. When stating a feeds and speeds, one must identify the machine, the spindle (which may be implied by the machine), the feed characteristics and the RPM. If the RPM cannot be stated specifically, tell use the setting of the spindle/router (“11”, “warp factor 6”, “ludicrous speed”). Without the RPM it’s hard to be perfectly clear about what happened here. That said, the SO3 tends to run at RPMs that are higher than the Nomad is capable of. With that in mind, a feed and speed winged from the SO3 would tend to “push too hard” on a Nomad… and what you are reporting would be expected to occur. Can you please take a screen shot of the MeshCAM parameters? Also a screen shot of the tool definition (so we can see the RPM)? Also a screens shot of the MeshCAM tool path. You stated you’re machining Aluminum. Can you please tell us which formulation specifically? There are many and they all have different characteristics. More detail is helpful, 6061 is good, but something like 6061-T6511 would be best. the spindle was 7500 RPM, that’s a Nomad default, I didn’t think I should touch it. I think on the next attempt, 10000 RPM, and show the plunge down to 4 inch/min? The part has 2mm supports in places, I think the “super plunge” happened with 2mm left and right where one of the support should have been. 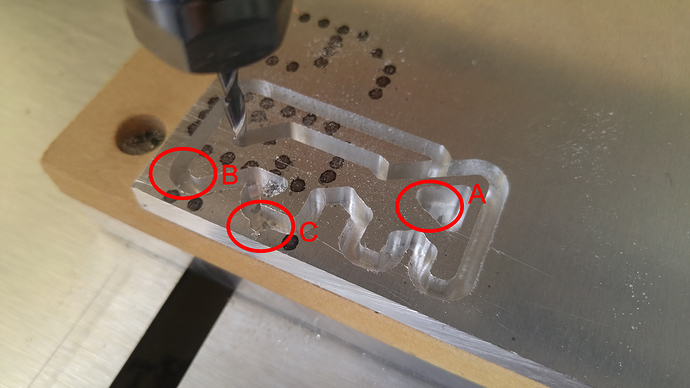 I tried using FSWizard but the output seems to be less conservative than the Shapeoko settings, so I thought I was in the clear. On a side note, I noticed that MeshCAM 6 has a folder for “carbide” with “materials.csv” and a Lua script for the Carbide Auto Toolpath Wizard. The materials.csv file does contain an entry for aluminum but it’s been “deactivated”, any idea what’s going on here? Dare me to change that to activated and give it another go? Plunge should rarely (only in really soft materials) be more than 1/4 of the rated chip-load for horizontal feed-rate. I can see that because of the posts you’ve left for yourself that you’ve got lead-ins along the posts, but they’re not for EVERY depth of path, so it’s trying to plunge through a LOT of material before it does the actual cutting path, and as a result you’ll also have some pretty deep cuts that are probably more than the recommended 1:1 depth/diameter ratio for the rated feed-rate, and they’d need to be slower to not overload the spindle & axis motors. The support posts are actually probably causing more problems than they’re worth in this instance, and you’d do better to just model some small tabs at the bottom of your geometry. It was trying to plunge to these lower paths, and crashing on the attempt, and based on your photo I’d say that’s the case across the board with the issues in the part. For this shot (thank you, @frank26080115 for the link to the model) I’ve modeled a parallel contour at .15" from the part perimeter to allow the cutter a little clearance, and made .02" high supports at the bottom. 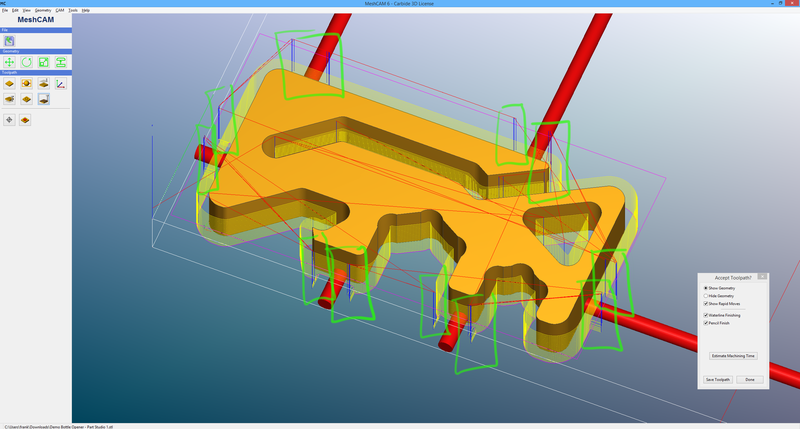 What is Machining Margin in MeshCAM? So on the next attempt, increase RPM to 10000, 0.065 inch margins, 12 inch/min feed and 3 inch/min plunge? Plugging the numbers myself into FSWizard gives me 20 inch/min feed. From all that I’ve read around here, calculator software cannot be fully trusted yet, at least not for the Nomad, and experience trumps all. What do you think of those numbers? I ran 6061 number through G-Wizard and all of those are believable. There are many correct solutions for feeds and speed. Many are equivalent, some have interesting affects on the finish. Reasonable roughing (rather than hogging) numbers at 7500 RPM is 13 IPM, plunge of 6 IPM. 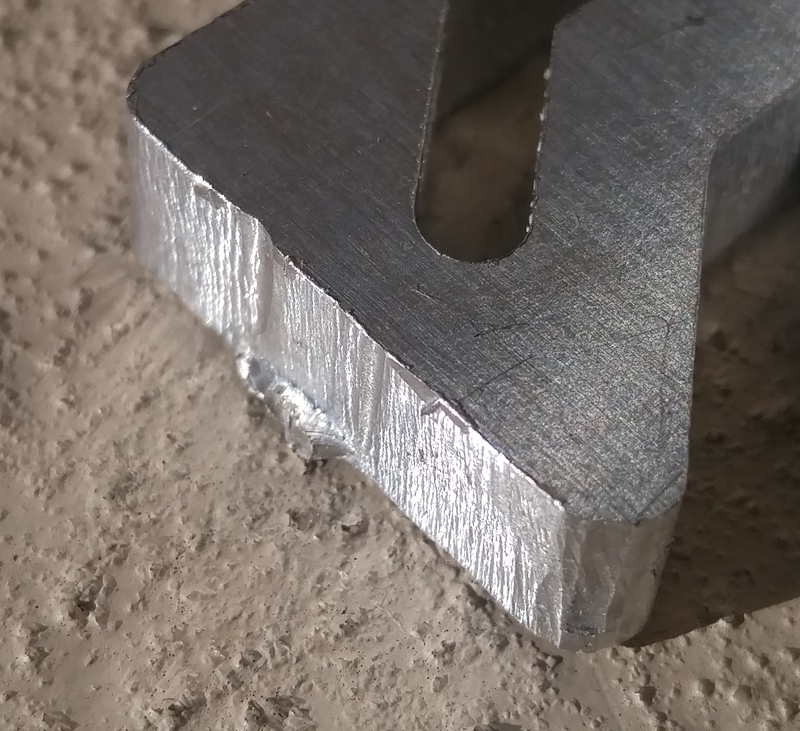 0.015 cut depth. I would definitely rough things first, then finish. Fine finish is 4 IPM, plunge 2 IPM. Using AlTiN coatings adds 2 IPM to all the numbers. I would like to suggest the 1/16 cutter over the 1/8 for waterline type cuts like this. Less material to remove. Your posted numbers should work well and eliminate the step-out from the high plunge rate you saw in the first cut test you posted. In early testing I was cutting 10IPM 1.5 plunge .015 step down and 10k RPM with the 1/8 cutter. with the 1/16th cutter that i prefer now, I would slow the feed to 8.5 ipm. I have a stack of materials to test cut on the PRO so you can expect to have a full set of tested feeds and speeds soon. Have you tried our fixturing wax? The only reason why I’m avoiding 1/16" cutter right now is I’ve got a fear of it breaking, I figure I make a sacrifice of wasting a bit of time and material to lessen the risk of snapping a end mill entirely. Am I wrong? I hope I get some updated materials.csv and any updates to the Carbide wizard Lua script. I am not understanding where the “Power” column of materials.csv is derived from. I will eventually need to add my own values for materials like grade 5 titanium. The “power” for aluminum is set as 400 inside materials.csv, but I don’t know the unit or what property it maps to. Is it tensile strength? shear? hardness? Inside the calculation, this value is used to recommend the DoC and predict the deflection on my cutter. I finished the cut but the surface is very rough, any tips? I accidentally left the RPM at 7500, or perhaps it’s because the end mill got dulled up, or maybe the feed rate of 12 is too fast? Also, how do I clean up a AlTiN coated end mill that got a bit sticky? I… uh… cut my finger on it already lol what’s the right way to do it? There is no practical way a high quality end mill will be dulled in one or two uses with the materials you’re working. AlTiN coating is not recommended for Al work - it attracts the Al being cut; use ZrN or TiB2 coating. If that end mill doesn’t clean with a stiff brush, the Al is probably welded to the end mill… the end mill is toast. Is it? If so, it also confirms that the parameters are “off”. Could you please post the the MeshCAM parameters window? 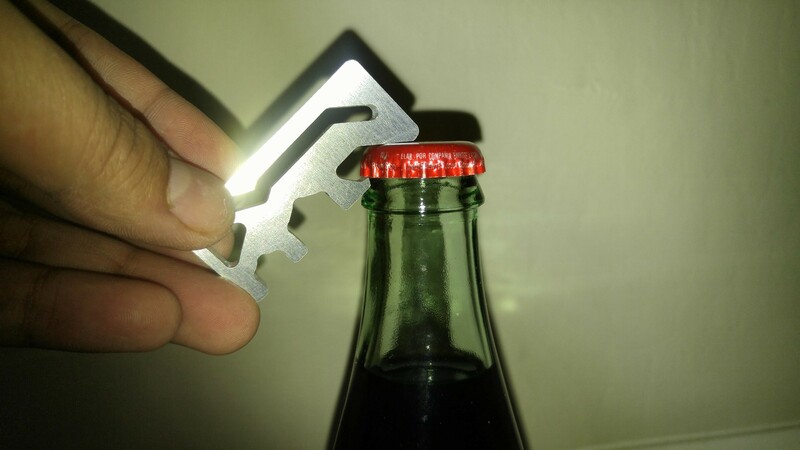 could still use improvements but I’m done with this bottle opener practice project for now. There’s still a small nick where plunges happen. How can I tell MeshCAM to do plunges farther away from a surface? Also I noticed that MeshCAM refused to generate a roughing tool path, why? How do I tell it to do two waterline passes, where the first one is maybe 0.03" away? EDIT: also, Carbide Motion crashed on me once… I think my vacuum cleaner generated too much EMI on the USB cable. Like… really guys… put a try-catch around all your hardware IO calls and attempt a resume for me. I’m going to order a short dual ferrite double shielded cable soon. The Cola goes with Fallout 4 these few days. I read those forum posts, are you suggesting the “fake ball mill” method? I don’t understand why CAM software is so expensive when Slicers for 3D printing is about the same complexity but plenty of them are free. A few slicers have a feature where the Z start point is randomized to avoid Z-scarring. We need a revolution here. Isn’t CAM tool path generation just the inverted version of slicing? CNC is a pretty mature market, and up until the desktop mills came out, had a very expensive cost of entry. Perhaps that’s why programs cost big $$$ - it hasn’t adjusted to the new norm yet? Mind you products like Fusion 360 are priced very aggressively so things are starting to shift. I feel like the 3D printers wouldn’t have taken hold if the printers + the software weren’t affordable and easy to use. Just a tip, check out Vetric cut2d. 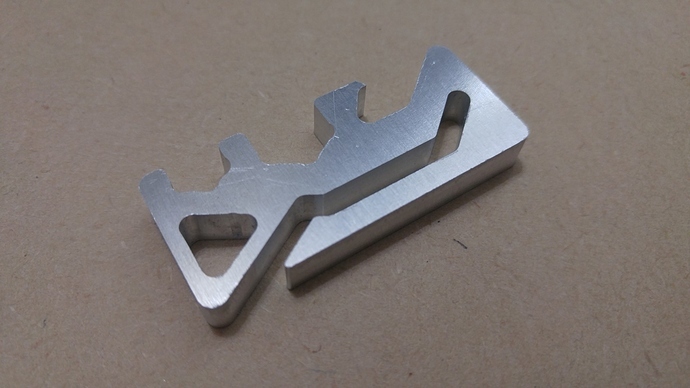 It costs $149 and provides a lot of customizations for cutting - for example, you can ramp in your cuts if you like. 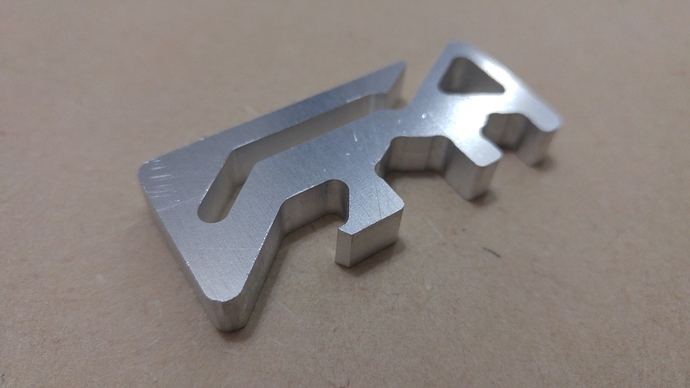 And you could run 3 cuts in 1 gcode file - a roughing pass, a profile pass that gets to near the bottom of your stock, and then a 3rd and final profile pass that has different parameters from the previous one. Really easy to use and flexible.